In the New York Times, columnist Paul Krugman has written a lengthy article criticizing Bitcoin from an economic point of view, entitled “The Antisocial Network”. This is the third article on Bitcoin that Krugman has written so far, following “Golden Cyberfetters” from September 2011 and “Adam Smith Hates Bitcoin” from April 12. Although he is far from the only economist to have a dim view of the currency, unlike the others his writings on the New York times are read by a large number of people, and the article is also a representative sample of what many who share his political ideology are likely to believe, and so it deserves some specific attention. The first thing that immediately comes out when reading the article is: Krugman has not bothered to do his research. After the introductory paragraphs, he asks the questions “What is bitcoin?”, and starts to answer “It’s sometimes described as a way to make transactions online — but that in itself would be nothing new in a world of online credit-card and PayPal transactions,” and then follows up “So how is bitcoin different? Unlike credit card transactions, which leave a digital trail, bitcoin transactions are designed to be anonymous and untraceable.” And then – that’s it. Krugman expands on the point a few sentences further, repeating the old canard that Bitcoin is “primarily” used for “narcotics and other illegal items”, but then he utterly fails to cite any of Bitcoin’s other advantages. Namely: no chargebacks, reducing costs for some merchants by as much as ten percent, much lower fees – low enough, in fact, that with BitPay’s recent fee cut to 0.99% the roundtrip of buying bitcoins with USD in the United States, giving them to a merchant, and having the merchant convert them back to USD has lower fees than a single credit card swipe (that’s 1.99% vs 2.9% + $0.30). Bitcoin is also international, making is just as easy to send money from Kyrgyzstan to Guatemala as it is to your neighbor. This is the reason why many believe that the next great Bitcoin bull markets will originate in China and Africa. As for drugs, Krugman’s claim that “the main use of bitcoin so far, other than as a target for speculation, has been for online versions of those dark-alley exchanges” is outright false. Silk Road has actually considerably decreased in relative importance. Privacy has far more uses than just drugs; Target’s algorithms discovering that a girl was pregnant before her own father is one often-cited example. Also, although Bitcoin advocates often try to steer clear of making the point, even if Silk Road was much larger than it is, the majority of Americans now support legalizing marijuana – making Krugman’s mention of the Silk Road serve more as an ad than an actual criticism. Krugman, however, does not talk about any of the above. Rather, as he frequently does, he examines the Bitcoin through a single lens: that of his particular views on monetary policy. Both in “Golden Cyberfetters” and “The Antisocial Network”, Krugman seems fixated on the fact that there will only ever be 21 million bitcoins in circulation, and the only partical criticisms of Bitcoin that Krugman has made rest on either this or the concept of mining. “The whole concept of having to “mine” Bitcoins by expending real resources amounts to a drastic retrogression,” Krugman writes in the previous piece. Of course, this is a reasonable argument – if a decentralized currency would emerge that has all of Bitcoin’s properties but does not waste energy on electricity, it would be a significant improvement over Bitcoin as it stands today. Ripple‘s consensus is one way that might potentially be done. However, when looking at the energy properties of Bitcoin it is important to realize the very thing that Krugman has failed to: that Bitcoin is much more than just a currency. The fiat currency analogue of Bitcoin miners – that is, the systems that Bitcoin mining has a chance to replace is not just the mint and the Federal Reserve; rather, it’s the mint, the Federal Reserve, Visa, Mastercard, Paypal, Western Union and half of the banking system. The reason that one can make such a lofty claim is that, unlike fiat currencies, which have only become digital through proprietary addons created by intermediaries such as those listed above, Bitcoin is digital from the start. In the case of fiat currency, you do not need any intermediaries to transmit money offline – you can just hand the counterparty the bill – but you certainly do need them to transmit it online. And in an age when interest rates in the traditional banking system are essentially zero, the reason why most people deal with banks at all is that they have to in order to do anything financial in an increasingly digital age. With Bitcoin, on the other hand, that need disappears. Sending money is as easy as sending an email, and so any intermediaries that do exist either have to do with interfacing with the traditional banking system, or adding genuine value. Of course, I say half of the banking system because banks do, at least in theory serve an important function in the economy, and regardless of who is doing is that function will have to be done somehow. Thus, banks will certainly not disappear entirely in a world where Bitcoin emerges into the mainstream. However, they will actually have to provide depositors with an incentive for storing their money with them, and part of that will necessarily be convincing depositors that they are legitimately engaged in making loans to value-generating businesses rather than martingale-style gambling – and their size and scope will almost certainly considerably reduce as a result. As for the monetary critique, I personally agree that having an entire world running on nothing but Bitcoin as a medium of exchange and store of value would be a disaster. But that is extremely unlikely to happen. Bitcoin is only the first in the cryptocurrency movement, and we will likely see many more to come. Ripple already stands out as a promising candidate. A cryptocurrency based around a built-in mechanism for trading computer power is something that we may well see in ten years’ time. Bitcoin may well simply serve as an intermediary “glue” currency that will make it easier for all of the world’s other currencies – fiat currencies, other cryptocurrencies, local currencies, not-so-local currencies based around internet communities, gold, and even potentially stocks and bonds, to work together with minimal friction. The Bitcoin network can also serve as the backbone of the decentralized stock exchange, allowing large corporate and perhaps even government bonds to be traded as monetary instruments with a stable value and most of Bitcoin’s advantages. Now, for the philosophical. Although it is difficult to notice, in the next section Krugman actually contradicts himself. Near the middle of the article, he writes: “Gold’s value comes in part because it has nonmonetary uses, such as filling teeth and making jewelry; paper currencies have value because they’re backed by the power of the state, which defines them as legal tender and accepts them as payment for taxes. Bitcoins, however, derive their value, if any, purely from self-fulfilling prophecy, the belief that other people will accept them as payment.” Near the end, however, he makes the opposite claim: “Even when people relied on gold and silver coins, what made those coins useful wasn’t the precious metals they contained, it was the expectation that other people would accept them as payment.” So which is it, Mr. Krugman, is money something that has always been just a social convention, or is it something that requires the support of physical value or the power of the state to have value? The answer is, yes, money is just a social convention, Bitcoin, the US dollar, and to the extent of over 90% of its current value even gold included. First of all, the US dollar is not “backed” by the power of the state in the standard sense of the word – there is no ratio at which the state guarantees that a certain number of dollars satisfies this tax obligation. If the value of dollars on the market went down by a factor of ten, the value of each dollar toward paying one’s taxes would do the same. Even if you let this point slide, however, what Krugman ultimately fails to realize is that power is also “just a social convention”. To understand why, consider why people follow laws. Certainly, many of the most important laws on the books are simultaneously points of basic morality – don’t kill, don’t steal, and don’t defraud, and many people follow them for that reason alone. But what about gambling laws, drug laws, the intricate complexities of the tax code, patent laws (why 20 years instead of 21? ), and business regulations? The answer is, if you break the law, the government will come at you with guns. But why does each individual police officer with a gun come at people (at least in theory) only when the victims have broken laws? Because if he won’t he’ll get fired, and perhaps even disciplined – by a legal system backed by other people with guns. There are authorities and chiefs at the top, but why do the rank-and-file follow them instead of other chiefs. The chiefs themselves do not have the military power in their hands to coerce their entire bureaucracy. The answer is, it’s just a social convention. This is the world we live in – it’s social conventions all the way down. Second, the aspects of Bitcoin on which Krugman is fixated are not about avoiding society – indeed, the only possible function of money is as an intermediary for economic association. Rather, they are about avoiding centralized control. Those who hold pro-government beliefs often make the point of conflating society with government – making the argument that if you do not like centralized authority and control then you must be some sort of mountain man opposed to the obviously superior strategy of “doing things together”. A cursory read of libertarian economists like Mises, however, will quickly show that those who generally oppose government intervention do not do so because they despise cooperation – in fact, Mises and Rothbard in their writings essentially regard free-market cooperation as the highest good. The different sides may disagree on the extent to which decentralized cooperation and society is possible, but it is along those lines that this particular philosophical point promoted by some Bitcoin advocates is made – not some hatred of society in general. The truth is, decentralized protocols are everywhere, and have served us well for thousands of years. Language, and spoken language in particular, is one example; although we have seen linguistic prescriptivists and the institutions like the Académie Française try to enforce some usages as more elevated and “correct” than others, by and large their efforts have failed; “slang” French has developed into a rich and expressive language in its own right without the Académie’s approval. In writing, prescriptivists have had more success, although that is because writing is taught through centralized formal education rather than the more natural style of learning by example through which children learn how to speak, but by and large language remains a construct that is literally “by the people, for the people”. The internet is another example; although it is far from fully decentralized, is far more decentralized than any long-distance communication medium we have seen before. And finally, although the architecture of mainstream social networks like Facebook is centralized, it does not need to be; the only reason why alternatives like Diaspora have not caught on to date is their failure to overcome the barrier of network effects, not anything inherent in their lack of a centralized authority, and the existence of one in the case of Facebook arguably only harms it – see the concerns about advertising and privacy. 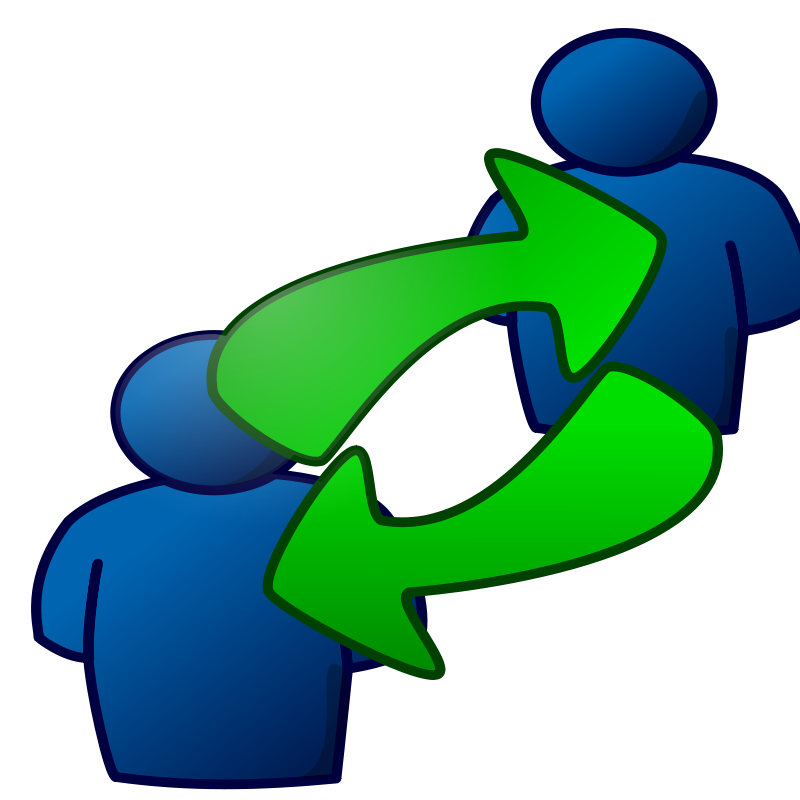 Furthermore, although social networks are, for the time being, centralized, the activity that comes out of them is not – the leaderless Arab spring is one example, and even in their more mundance use the very purpose of a social network is facilitating the ultimate decentralized cooperation protocol of all: friendship. But what is the benefit of decentralization and lack of control in the world of money? Many answers were given above: centralized systems are less responsive, power corrupts, and so on. But there is also another one: stability. This argument may seem ludicrous made in the wake of the largest bubble and crash in nearly two years, but one has to remember that the reason why Bitcoin is currently subject to such fluctuations is its small size, and the fact that so much of its value is dependent on the percentage chance that it will grow much larger than it is today. If Bitcoin becomes mainstream, we can reasonably expect it to be more stable than gold, as the two are somewhat similar in their function as stores of value, but unlike gold there is no uncertainty in Bitcoin’s supply. Krugman’s argument against moving away from a fiat currency standard is that the US dollar has remained stable, and inflation continues to appear far away, and so there is clearly nothing wrong with the state of central bank money printing. In fact, Krugman says in other articles, since the introduction of fiat currency depressions have actually been much less frequent. But we have already seen that argument elsewhere: nuclear weapons. The “mutually assured destruction” doctrine stated that nuclear weapons would actually bring us peace, because nobody would dare start a war when the consequences could well be the end of the world. And, judging from historical evidence, it looks like it worked. Although we have seen some close calls, with the Cuban Missile Crisis and an accidental false alarm in 1983 almost leading to the annihilation of billions of lives, altogether American nuclear hegemony held through, saving tens of millions from the evils of conventional warfare. And yet a growing number of people are now looking to abolish nuclear weapons entirely. Why? Read over the last two sentences carefully. The lack of medium-scale wars that nuclear hegemony brought saved tens of millions of lives, but it almost killed three billion. This is the effect of illusory stability through centralization: you replace guaranteed small shocks with a small risk of a big one, and until the big shock comes those who express their fear of it are decried as charlatans – and when it does come, their dead bodies are memorialized as heroes. An argument can be made that centralized fiat currency, in the form of the US dollar/Euro hegemony, is similar; Greece and Cyprus are roughly parallel to the Cuban Missile Crisis and the 1983 incident, although unlike the Soviet incidents both Greece and Cyprus are still very far from safe. For the past three years, we have been a step away from what appears to be total collapse. Given that risk, and the catastrophic consequences of total collapse becoming reality, the more frequent recessions of the 19th century seem preferable by comparison. “The very act of suppressing fluctuations renders systems extremely prone to large-scale disruptions,” the economist Nassim Taleb writes (those interested in complexity and fragility in economics should consider reading his books The Black Swan and Antifragile for a deeper view). In this context, having even one currency that is free from political control can make a large difference. The purpose of Bitcoin is not simply to replace the fiat currency standard with a pure 21-st century gold standard; rather, the purpose is to add a measure of diversity by giving people a choice. If Bitcoin collapses, there will still be USD, stocks, bonds and gold are a store of wealth. If the “mainstream” economy collapses, Bitcoin’s rise following the Cyprus incident shows well that Bitcoin serves as an effective hedge. The US dollar is not the endgame – history shows that few currency regimes last longer than about fifty years without going through fundamental changes like hose in 1933 and 1971, and neither is Bitcoin. But it is quite likely to be either part of the next solution or a stepping stone that will get us there.